Car dealerships have valuable assets on site – and many criminals assume a car forecourt is an easy target. Not with remote monitoring in place. It’s important for car dealerships to be able to display their cars, but only if they are protected from security risks. With remote monitoring, car dealership owners can feel reassured that trained security professionals are keeping a watchful eye over their site when staff aren’t there. Farsight are experienced in monitoring car dealerships, working with three of the UK’s top firms and providing exceptional security for showrooms, repair and service garages and, of course, forecourts. 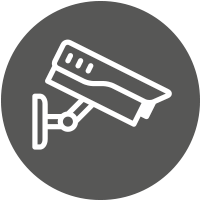 Get in touch with Farsight to discover how your car dealership’s security could be improved. Get in touch with us today to find out how Farsight Security Services could improve your car dealership’s security. Phone us on 0845 371 0101 or send us an email.